It only costs £88 to join English Heritage for 2 adults and up to 12 children for one year which may seem like a lot to pay out in one go however if you break this down this costs just £3.66 per adult per month. The fact that you get entry for up to 12 children too means that membership offers superb value for larger families. We love our English Heritage membership and wouldn't be without it. We have been members for the past 5-6 years now. 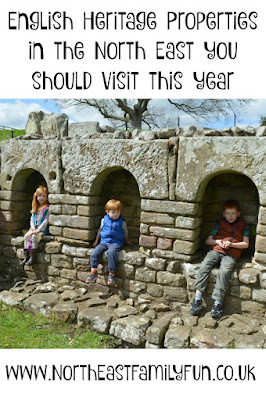 Not only does the North East offer some fabulous days out, but the events that English Heritage hold are second to none and once you are a member they are mostly free so it feels like a free day out. Belsay Hall is a wonderful day out for all ages. First up, there is the hall to explore and you can even visit the basement if you are brave! Then take the 1 mile easy walk through the quarry gardens which really are stunning, at times it feels as though you are walking through an amazing rainforest. You will soon spot the castle which again is lovely to explore. The walks are toddler and pushchair friendly with lots of photo opportunities. I would recommend packing a picnic and making a day of it. There are lots of special events from bug hunting to Knight's tournaments throughout the year too. Warkworth is a lovely village in Northumberland and perfect for a stroll around after a trip to the castle. The grounds are nice and compact so children can run around under the watchful eye of their parents. My three love taking their wooden swords and play sword fighting as we enjoy a cuppa. Once you've burned some energy you can climb the castle and enjoy the spectacular views out to sea. They really are stunning! On certain days you can take a boat trip over to the hermitage too. Warkworth Castle hold regular special events, particularly in the Summer holidays. We would recommend The Soldier of Roses event. 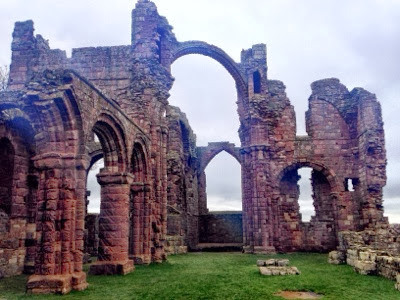 Lindisfarne Priory sits on Holy Island which can only be accessed at various points of the day depending on the tide. The Priory is fantastic to explore with lots of signs dotted about and a mini museum. You can sometimes spot seals off the coast too. 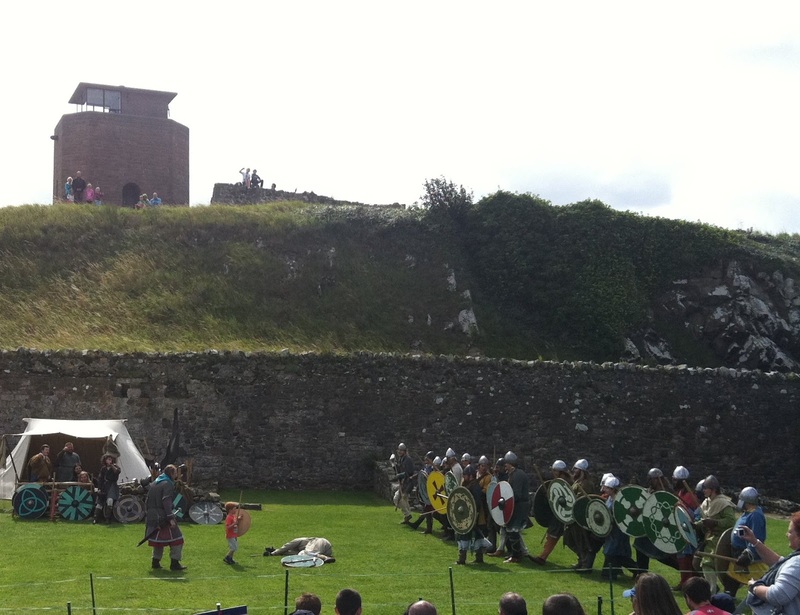 There are occasional special events - we love the Vikings Invade event which usually happens once every year. Vikings take over the Priory. I love this picture of Harry aged 4 taking on the Vikings in the battle field. We visited Tynemouth Priory for the first time last year and I honestly can't believe it took me so long to visit! There are ruins to explore, turrets to climb and a beautiful chapel to marvel at. As well as this you can visit the exhibition centre which features lots of hands on fun and venture into the underground bunkers and learn all about the Priory's role in the war. We can easily spend a few hours at the Priory and it's a nice place to visit before/after the beach. The coastal views are stunning too. 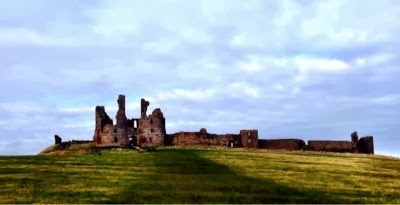 The walk to Dunstanburgh Castle from Craster is a right of passage for a lot of people in the North East and the picturesque walk along the coast through fields of sheep is certainly worth it. If you are looking for a walk to blow away the cobwebs, this has to be it. 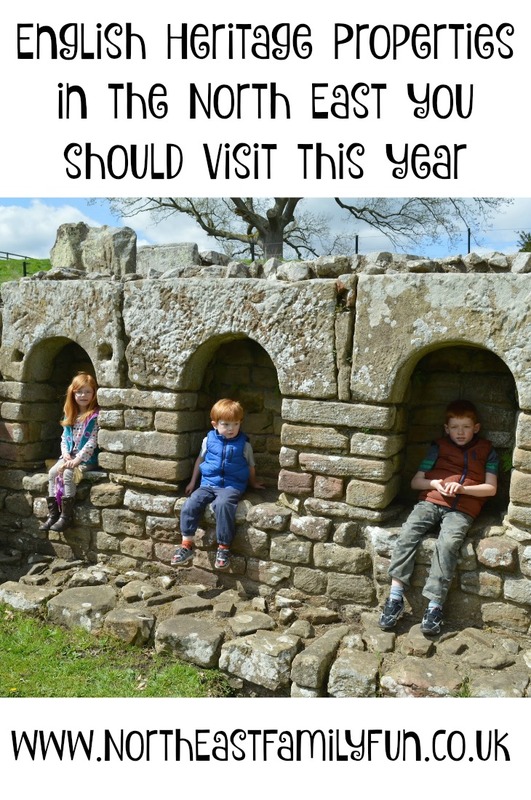 Hadrian's Wall is quite possibly our favourite English Heritage site to visit with Chester's Roman Fort being our favourite. Chester's features a lovely tearoom, a Roman museum, plenty of picnic benches, forts and ruins to explore, riverside views and even a bath house. There are various special events during Summer holidays too that are included in your admission. We loved their Falconry event last year. 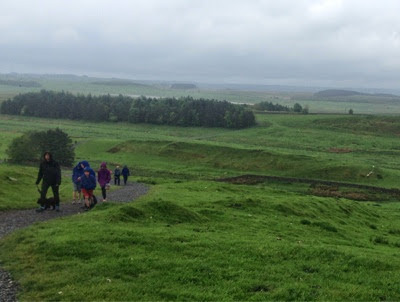 Housesteads Roman Fort involves more walking but again, the views of the countryside are simply superb! 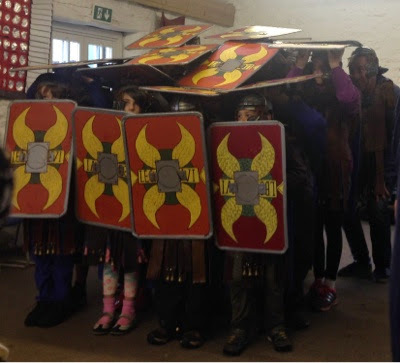 Look out for Roman Soldier School too. Your English Heiritage Membership doesn't just cover you for the North East, you can visit over 400 properties throughout the UK. Something we'll NEVER forget is our trip to Stonehenge last Summer. It truly was an amazing experience. Entry was FREE for us as we were English Heritage members. We've also used our membership to climb the 199 steps and visit Whitby Abbey. You can visit the small museum, the abbey and walk around the grounds too. There were a few special events on when we visited during the school holidays too including the re-telling of Dracula. We also hunt out English Heritage sites as an alternative place to stop when we are travelling across the Country. We usually stop off for a picnic at Brodsworth Hall when travelling along the East Coast. They have a fab shaded play area that is next to the loo's so perfect for a stop off. Last year we stopped off at Bolsover Castle in the midlands as we journeyed down South last Summer. It is just off the M1 and a bit of a hidden gem! The kids enjoyed the park, we ordered an al fresco lunch in the tearoom and then had a quick tour of the castle to stretch our legs before continuing our journey. English Heritage members are also entitled to discounted entry to many associated attractions such as 20% off admission Alnwick Garden and free entry to Bessee Surtees house in Newcastle. If you join English Heritage and pay via annual direct debit you'll be entitled to 3 months free too! Wow I never realised you could take up to 12 children with a family pass, that's fantastic value!! Love Warkworth castle and Tynemouth priory! I can remember visiting Hadrains Wall when I was a child, I must take the children. Great post, we were just considering getting passes!